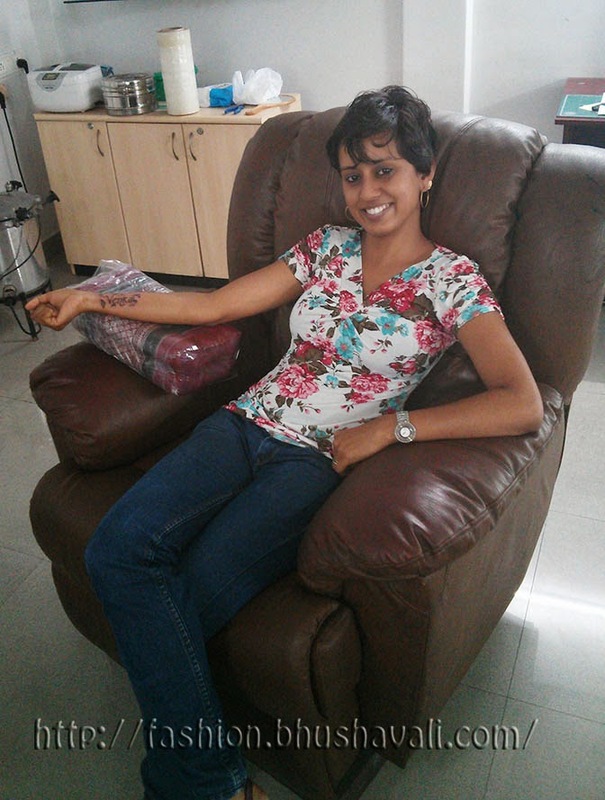 First about the studio - I got it done from this place called Talisman Tattoo in Chennai. Its a one man army, run by Mr.Amarnath. This guy has been a tattooist since 2006 and he began Talisman in 2010. Talk of fate, he studied to be an interior designer. On his vacation to Thailand, he spotted a tattoo course and took it up just for fun!!! The actual education is now just done for friends for the fun on it, and the fun course he took up in a vacation became his profession!!! The equipment and ink are imported from Thailand. The needles are opened in front of the client, so you can be sure its sterile. The machinery are sterilized in these steamers at high temperature. As I kept thinking about the pain, I thought why aren't they using local anesthesia and I asked him about that. He said that it makes the skin a bit tough and ink penetration becomes difficult. However it is used if the design is too big and if the client's pain is too much towards completion. Ofcourse, he flaunts his own list of celebrity clientele - Dr.Priya Selvaraj, Southern film actors Janani Iyer, Sripriya, Aishwarya (Lakshmi's daughter), Vanitha Vijayakumar, Lissy Priyadarshan, quite a few tamil serial actors etc. Most often than not, his clients aren't drop-in clients. Usually an e-mail or FB conversation or a couple of meet-ups with the clients and the design is finalized. You can go there with just an idea which you can explain in words, or if you've seen a design that inspires you, you could take that too. 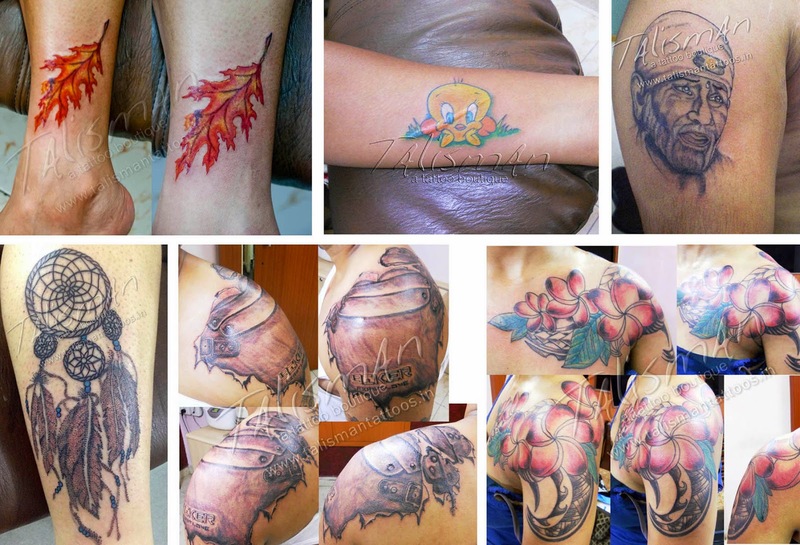 He does drawings & sketches for his clients till they're pleased with the output before going onto the skin. Does he have a tattoo on him???? He's still in the process of perfecting and expanding his design day by day! Presently he also conducts classes for tattooing. Its a 3 weeks course. However he just doesn't train anyone who drops by, he makes sure you have the panache, the attitude for it. Here are some of his designs that I liked the most! The Tweety in the 2nd pic is actually a cover-up of a scar! The Leaf & Dreamcatcher are done mostly with dots for shading like pointillism!!! And the shading effect on the Sai Baba and the Iron Shield are more than awesome - I luuuuurve it!!!! And what did I get done?????? Yeah! 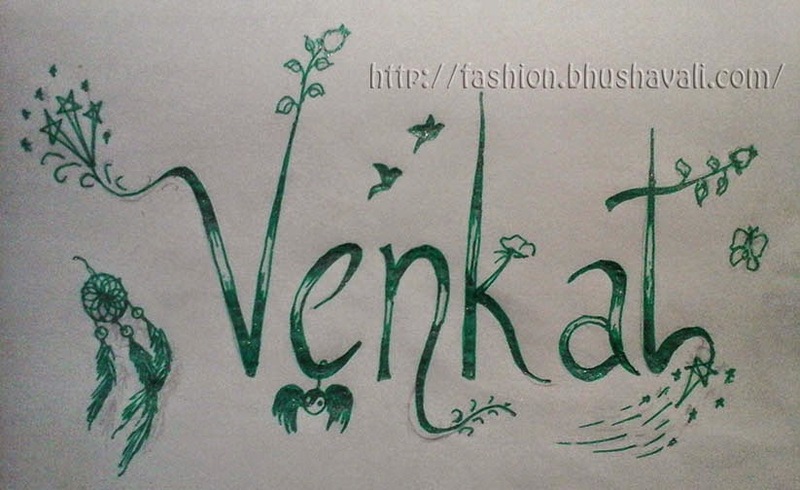 My guy's name..... :) :) :) I designed it with some symbols that mean something to me - a little ying-yang, a couple of flying swallows & butterflies, a few stars & comets (if you've watched Game Of Thrones, you'll know what 'My sun & stars' mean!!! ), a dream-catcher & flower buds.... How's it????? Ever wondered the science behind tattooing? Check out this video. Btw, here are a couple tips from my personal experience, if you're planning your first tattoo - think about the design 100 times, its gonna be with you lifetime; do not have your first tattoo till atleast you're 25, a big no-no in your teens coz your profession may have rules regarding tattoos; pain is more than waxing underarm; pain is lesser wherever skin is tighter and has no fat layer beneath; go for colors that are darker than your skin tone; choose a location on your body which is relatively easy maintenance & tans less; take someone with you to hold your hand as a moral support in case it pains more,or if you fear needles like me!!! The prices start from Rs.1500 for a black tattoo and Rs.2500 for a colored one. But guess what, if you're a student carrying a college ID, you'd get a 20% off!!!! What was your first tattoo - share with a comment here or on FB!!! P.S: A voucher was gifted by the company for reviewing purpose, however the opinions are of my own experience and are this post does not to advertise the product. Wish you a happy and prosperous 2015! I have had this wish of getting a tattoo done for a long time now but have never found a design I truly like. Unfortunately, I am not as creative to come up with one on my own either. Take your time to decide. Its permanent!! !